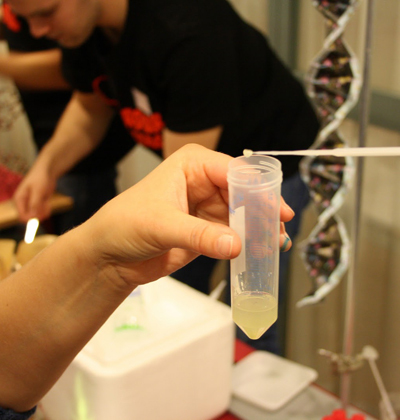 Visitors can try producing DNA samples. The current methods for extracting DNA are simple and standardised. It is fairly easy to carry out this activity under the guidance of one or more researchers. Challenges: Ordering sufficient materials and finding people to run the activity. Benefits: Experienced by many as an opportunity to try their hand at advanced research.